Department of Industrial Engineering, University of Parma, Viale G.P. Usberti 181/A, 43100 Parma, Italy. 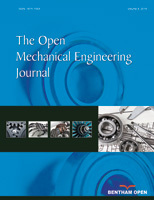 This paper aims at investigating, both through a theoretical and an experimental analysis, the discharging phase of a blowing unit of compressed air, used for the industrial production of plastic made bottles. The proposed mathematical model leads to a system of differential equations describing the flow through an open system. The solution was found by numerical simulations using the software Matlab, determining the gas density, pressure, temperature and mass flow rate, as functions of time. The pressure loss across the down flow has been tackled with a theoretical investigation, determining the mechanical loss coefficient β and evaluating the effect of these losses on the emptying time of the blowing unit. The numerical results agree with the real discharging times obtained by experimental tests, and the proposed improvements allow to reduce loss of pressure and the emptying time of 35% and 20% respectively.